Misaligned or crooked teeth can cause more problems than you might realize. While crowded, overlapping, or gap teeth are often thought of as a cosmetic imperfection, the reality is that a misalignment can increase your risk for decay, temporomandibular joint disorder and gum disease. 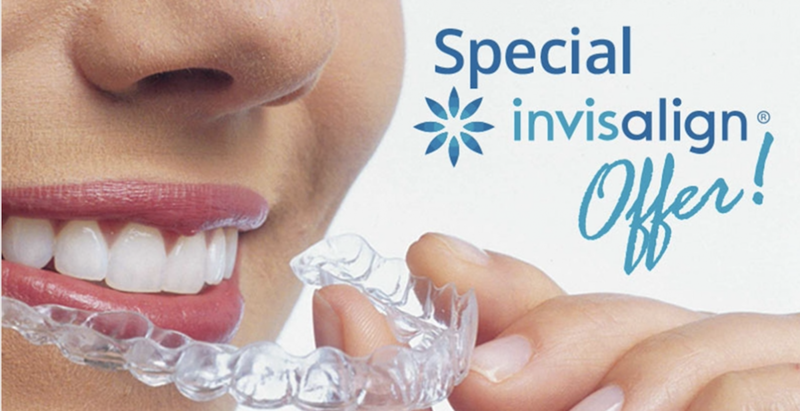 We are pleased to offer Invisalign, the effective and popular “invisible braces” system to adult and teen patients who want to straighten their teeth without the hassle of traditional metal braces. We are happy to meet with you, examine your teeth and gums, discuss your dental goals, and make a recommendation as to whether Invisalign is right for you. Mention this promotion when scheduling your appointment.